Home / electricity / low rates / meralco / Meralco talks about Orange Tag and lower rates. 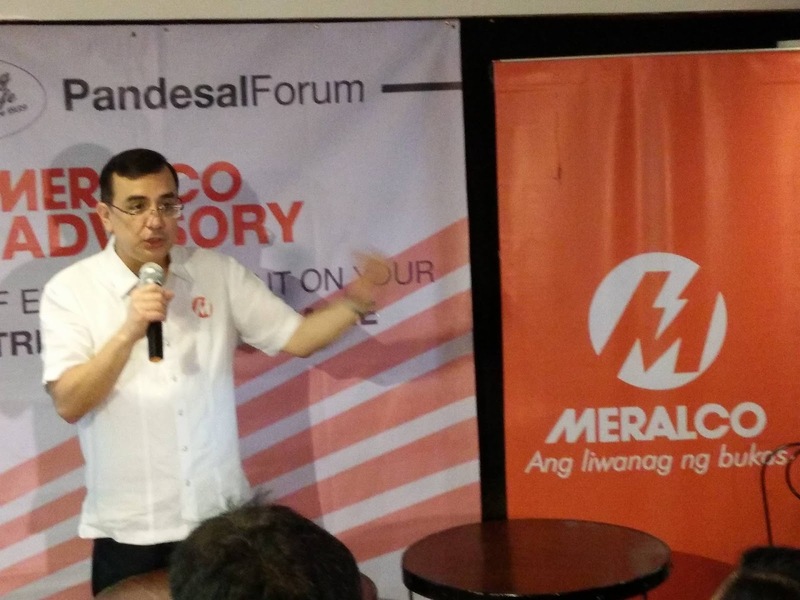 Meralco talks about Orange Tag and lower rates. Meralco consumers enjoy low power rates in may as the Meralco for the residential customers would go down 41 cents/kWh Bringing it down to P8.44 per kWh. If you are a typhiical household consuming 22 kWh, this translate to a reduction of around P82.00 in their electric bill. Meralco also wanted to share about where the money goes when you pay monthly electric bills. 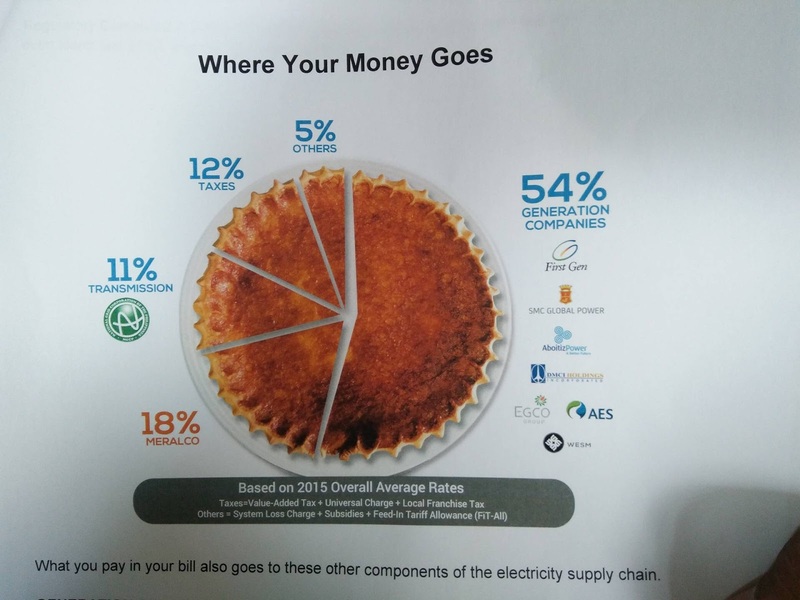 Here are sample chart explaining the distribution when you pay your monthly bills. Generation Charge The largest component of the bill. Compromises the total of all costs charged by the different generation companies that provide Meralco with power supply. Transmission Charge goes to NGCP, there are also taxes and other charges warranted by government regulators to ensure the industry’s viability. Distribution Charge It is the only amount Meralco receives for its services. Distribution charge is not as unpredictable as the other charges because it is regulated by the ERC. Did you know that 25% of the household in metro manila has Aircon/Airconditioned. 95% of them uses aircon and the 5% didn’t use. 85/95 uses aircon at night while the remaining 10% uses it on both day and night. A lot of people want to use aircon but afraid to have a higher bill. That’s why Meralco launched the Meralco Orange Tag to give consumers a useful information and to understand more about the products they want to use, the cost per hour/usage. Some of the appliances in the market already check and marked Orange Tags. It means, it was tested by the Meralco Engr. At the Meralco Lab. This is one thing how Meralco help and cares about their customers. For more info about Meralco Orange Tag . visit www.Meralco.com/OrangeTag.